Police searching for a woman in the video. As can be seen, a woman throws her pug and poor pooch hits the ground hard and rolls. Fairfield California Police is looking for her and is prepared to file animal cruelty charges against her. She doesn’t deserve to have that dog or any living creature for that matter. The woman in the video is Brandi Chin. During heated argument with her boyfriend, she throws the dog like somebody would throw a bag full of garbage. A roommate of Brandi Chin’s boyfriend says that she should be punished and someone has to talk to her to explain to her what animal cruelty is. 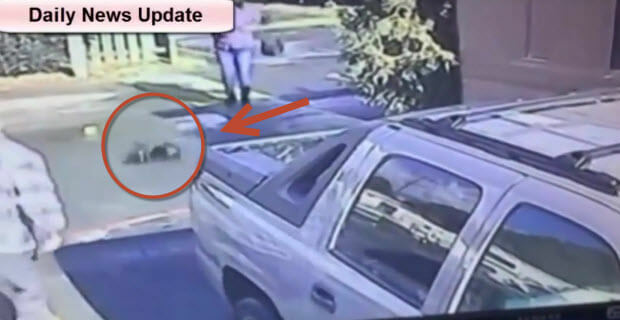 A Female Rescuer Was Dragged Like A Rug Doll By A Huge Stray Dog! Watch The Epic Rescue Video Here!